Oskar Aspman is an illustrator, graphic designer and lecturer in comics and visual communication at MaU. He co-founded the art-comics anthology CBA in 2001 as an outlet for mainly experimental, visual narratives. Jakob Dittmar is a senior lecturer and assoc prof at MaU. His research focuses on the construction of comics-narratives from their individual visual elements. Researching comics for blind and visually impaired readers has taught him a lot about how comics work. He also researches into character design and strategies of representation in comics. Saskia Gullstrand is a comic artist and adjunct lecturer in comics and visual communication at MaU. She is also the founder of Underlandet, an artistic laboratory and resourcenter for comic artists. Martin Lund is a senior lecturer in religious studies at MaU. His main research interests are the intersections of comics and religion, comics and identity formation, and comics and place. He is currently working on a book about Jewish superheroes. Magnus Nilsson is professor of comparative literature at MaU. His research on comics focuses on the relationship between comics and class and the use of comics to promote political ideals. Gunnar Krantz is a comic artist and senior lecturer in visual communication at MaU. He is currently working on documentary comics and researches the early history of Swedish comics fandom, fanzines, comics production and the relation between comics and contemporary art. Petra Ragnerstam is a senior lecturer at MaU where she teaches literature, cultural studies and storytelling. Her current research focuses upon how literature and storytelling is embodied in various forms of cultural and artistic activities. Fredrik Strömberg has studied and written about comics since the early 1990’s. Among the books he has authored are the English language Black Images in the Comics (Fantagraphics, 2003), The Comics Go to Hell (Fantagraphics, 2005), Swedish Comics History (Top Shelf, 2010), Comic Art Propaganda. (St. Martin’s Griffin, 2010) and Jewish Images in the Comics, (Fantagraphics, 2012). Strömberg is one of the editors of the peer previewed, open- access Scandinavian Journal for Comic Art (sjoca.com) and a founding member of the Nordic Network for Comics Research (nncore.wordpress.com).  Strömberg is currently writing his thesis at Malmö University, focusing on how the crossroads of different cultures are reflected in comics.